I find your lack of costume disturbing. Get ready for our May the Fourth Be With You Mixer with these costume ideas. Houston, we’ve detected signs of intelligent life…at Mixers & Elixirs! Grab your friends on Thursday, May 4th and head to HMNS to celebrate your inner rebel or join the dark side at our May the Fourth Be With You par-tay. Mix, mingle and make new friends while enjoying live music by the band Space Rockers, cocktails and the city’s best food trucks. The museum will be rocking like we are at the Mos Eisley Cantina from 7 pm to 10 pm. Party or party not. There is no try. Costumes and galactic fashion are highly encouraged! Have you searched the entire galaxy but still can’t come up with anything to wear? Worry not! We have a few ideas that will get you into the May the Fourth Spirit! Smuggler. Scoundrel. Scruffy-Looking Nerf Herder. Whatever you call him, we can all agree that Han Solo is the man. 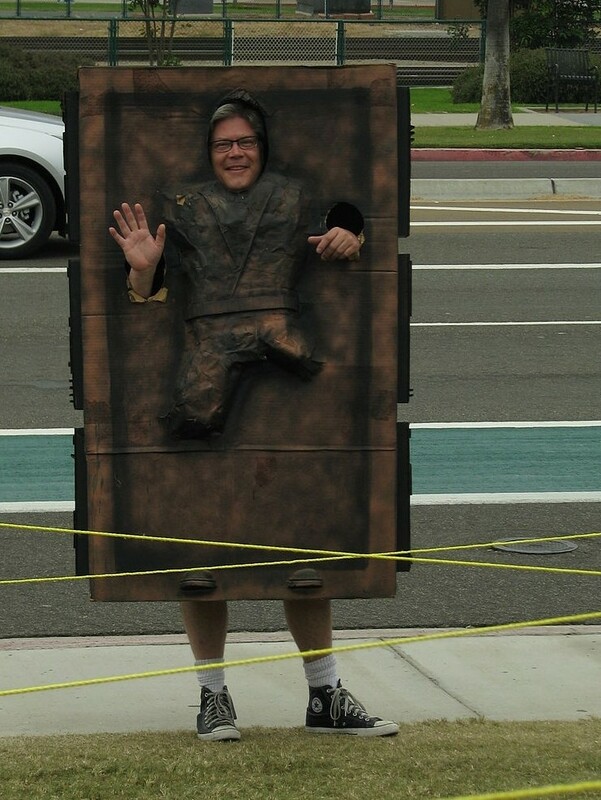 Put a unique spin on dressing up as your favorite reluctant hero, by going as Han Solo- frozen in carbonite. Instructables gives easy, step by step instructions on creating a costume that will have everyone saying, “I love you”. Rey, a young, scavenger on the desert planet of Jaku is the newest hero in the galaxy. 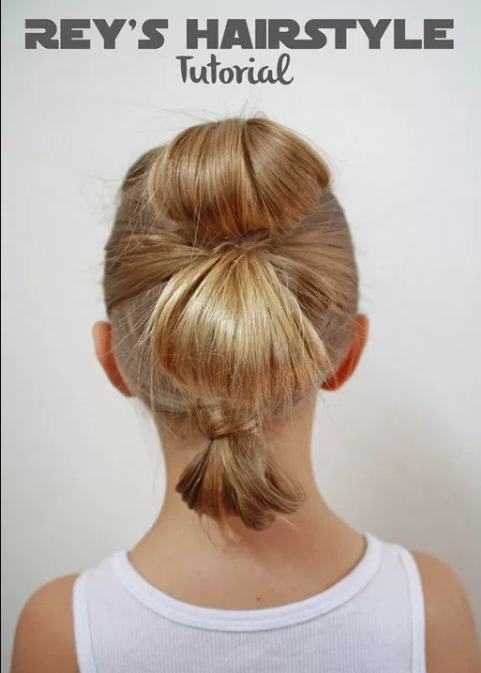 Show her some love by rocking her distinctive hair-do. The lifestyle blog, Our Kerrazy Adventure gives an easy tutorial on how to get Rey’s edgy look for yourself. Are you looking for an Instagram worthy outfit without the hassle of a costume? 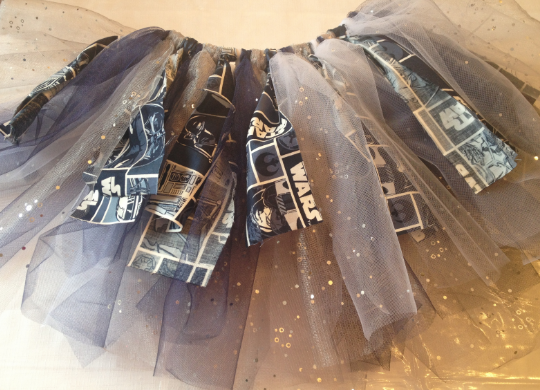 Look no further than a DIY tutu with a Star Wars twist. This easy, tutu tutorial, courtesy of Mallery Schuplin, blogger extraordinaire and her blog, Horrible Housewife, gives you step by step instruction on how to create an out-of-this-world tutu of your very own. Pair it with your favorite Star Wars t-shirt and you have a show-stopping look before you can say #InstaFashion. Looking to go to the HMNS May the Fourth be With You Mixer super casual, but still want to show your love for the holiday? The HMNS Museum Store has the shirt you are looking for. Newton’s Second Law of Motion defines the relationship between an object’s mass, its acceleration and the applied force. 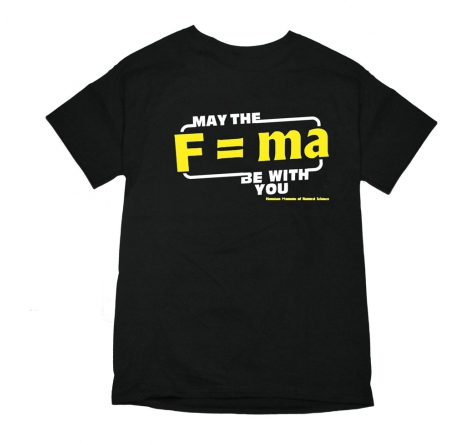 F=ma allows one to calculate how velocities change when forces are applied. A very useful formula when you are trying to outrun a Death Star. Get your new favorite t-shirt here. Check out the HMNS Pinterest board for even more May the Fourth Be with You costume ideas! Stars At War: Binary Stars, Cannibals, Cataclysmic Variables and Warped Space!